"Wenn wir die Technik nutzen, dann um der Menschheit zu dienen. Ich möchte Menschen dazu ermutigen, zu forschen, zu probieren, Neuland zu eruieren. Nicht in der Comfort Zone zu verharren." I think this observation is brilliant. It reminds me of the clarity of the Peter Principle, which says that a person in an organization will be promoted to the level of their incompetence. At which point their past achievements will prevent them from being fired, but their incompetence at this new level will prevent them from being promoted again, so they stagnate in their incompetence. The Shirky Principle declares that complex solutions (like a company, or an industry) can become so dedicated to the problem they are the solution to, that often they inadvertently perpetuate the problem. Unions, or example. Unions were a brilliant solution to the problem of capital management which tended to exploit uncapitalized workers. But over time as capital increased in complexity, unions complexified as well, until unions needed management. The two became one system -- union/management. So now the problem with unions is that they are locked into the old framework, the old system. They inadvertently perpetuate the continuation of the problem (management) they are the solution to because as long as unions exists, companies feel they need management to offset them, and so the two became co-dependent. In effect problems and solutions tend become a single system. In his brilliant, classic book The Innovator's Dilemma, Clay Christensen demonstrates how disruptive technologies almost always arise from the margins of an industry, where they start out as insignificant, or toy, solutions. Honda's hobbyist electric bicycles were no threat to the big four automobile companies, until electric bikes become motorcycles and motorcycles became small efficient cars. Cheap crumby dot matrix printers were no threat to big offset printing companies until dot matrix became injet printers and injects became the HP Indigo 5000 on-demand printers. In each case, the solutions were marginal, barely working, at first, and therefore ignored. I think what Clay Shirky is pointing out is that many problems, too, are marginal at first, and therefore ignored. Established industries like to focus on established problems. Shirky made his quote in a recent talk, a bit from his upcoming book Cognitive Surplus. Shirky also referred to a similar idea in a recent blog posting about the ways in which media companies and the media industry are often constitutionally incapable of changing because they are still solving the last problem. In a strong sense we are defined by the problems we are solving. 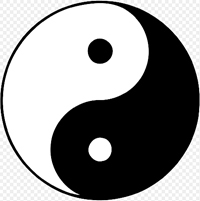 Yin/Yang, problem/solution, both sides form one unit. Because of the Shirky Principle, which says that every entity tends to prolong the problem it is solving, progress sometimes demands that we let go of problems. We can then look to marginal solutions and ask ourselves, what marginal problem is this solving that might be a more appreciated problem later on? Via twitter.com/jkleske Stimme dem zu, aber soo sensationel neu finde ich die aussage jetzt nicht. erinnere mich an mein studium, da gab es sowas schon, sogar spezielle Forschung dazu. Nach ca 50 sec (vor allem nach der doofen Werbung) kommt die interessante Passage über failure und die wichtige Bedeutung davon.